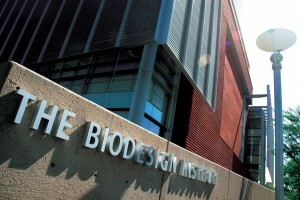 Biodesign includes 350,000 square feet of space, designed to promote interaction among nearly 600 faculty, staff and students. 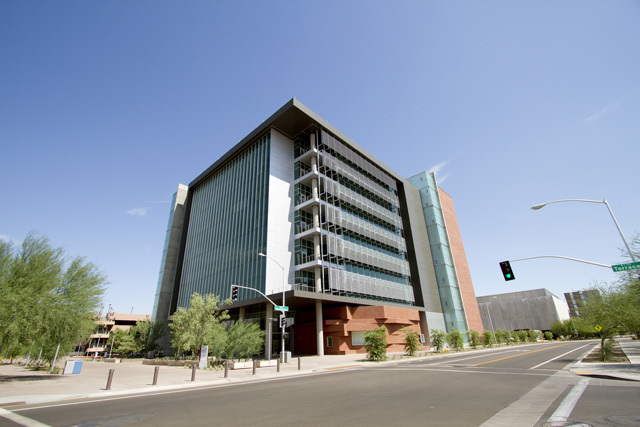 It was the first facility in Arizona to earn platinum-level LEED Certification from the U.S. Green Building Council.ASU’s Biodesign Institute, home to 10 research centers, is a conduit for Fulton Engineering faculty in environmental engineering, materials science and engineering, electrical engineering and biomedical engineering to merge their expertise with other ASU researchers. Research includes disease prevention and cures, reduction of injury-induced pain and physical limitations, and renewable and sustainable resources. 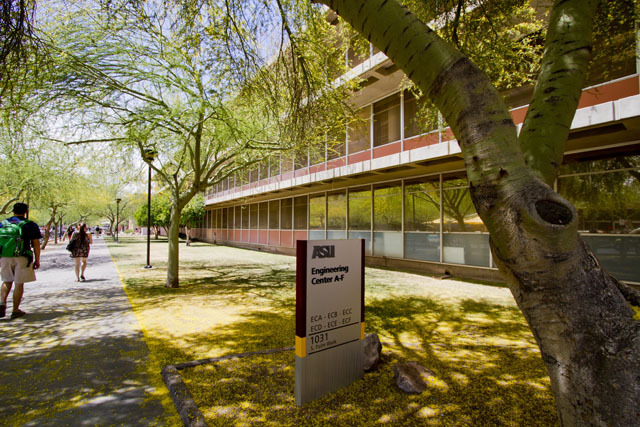 The Brickyard complex on Mill Avenue houses engineering classrooms, the School of Computing, Informatics, and Decision System Engineering, ASU’s Decision Theater and the Engineering Dean’s Office. The Engineering Center is an interconnected research and instruction complex. 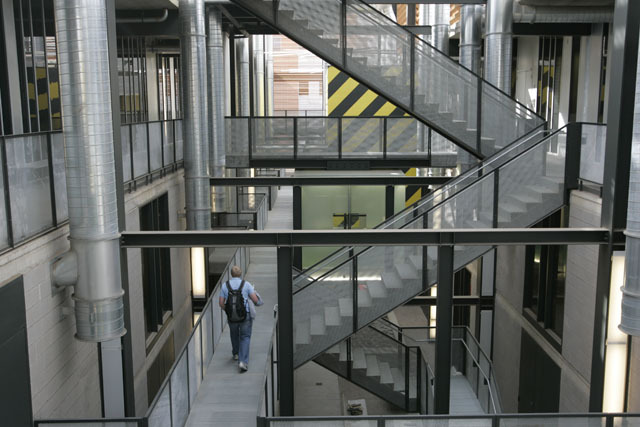 It houses labs, classrooms and administrative offices for Fulton Engineering and is home to the new eSpace design and prototyping studio. 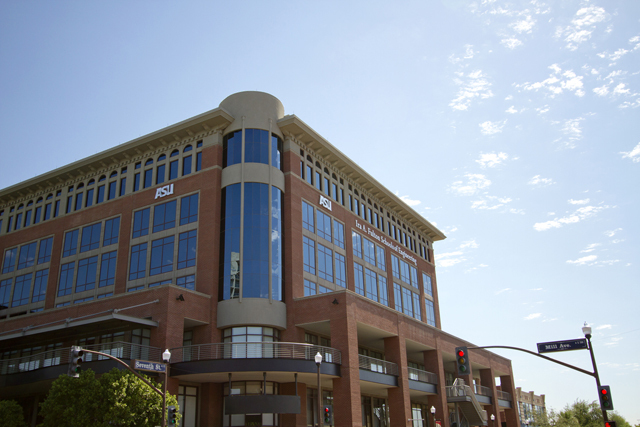 The Engineering Research Center houses research on advanced semiconductor and material technologies, power systems and electronics, and computational sciences. The 7,500 square-foot Engineering Student Center, in the Engineering Center G wing, features study pods, a wireless access facility, a conference room, loaner laptop computers and meeting areas that can accommodate small groups for lectures and video presentations. 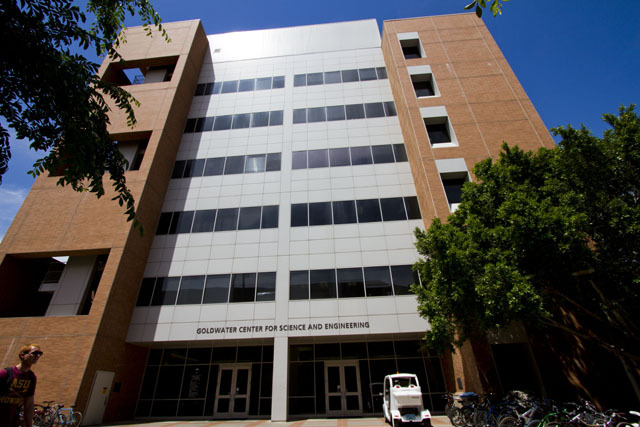 The Goldwater Center for Science and Engineering houses the wireless communications research center, school offices, the Fulton High Performance Computing Initiative, and materials growth and analysis research areas. The Interdisciplinary Science and Technology Building I provides flexible laboratories and collaborative spaces in biomedical engineering, neural engineering and molecular, tissue and cell engineering. 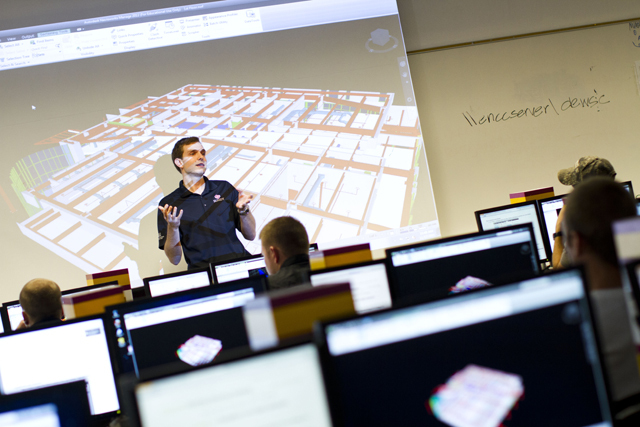 The Interdisciplinary Science and Technology Building II is a high-bay research facility supporting research in advanced materials, transportation planning, geotechnical engineering, fluid dynamics and sustainable materialsg. 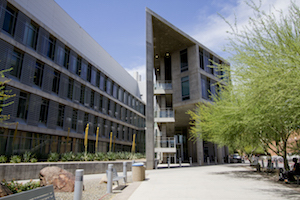 The Interdisciplinary Science and Technology Building IV is the single-largest research building at ASU with about 300,000 gross square feet geared toward facilitating multi-institutional ventures. 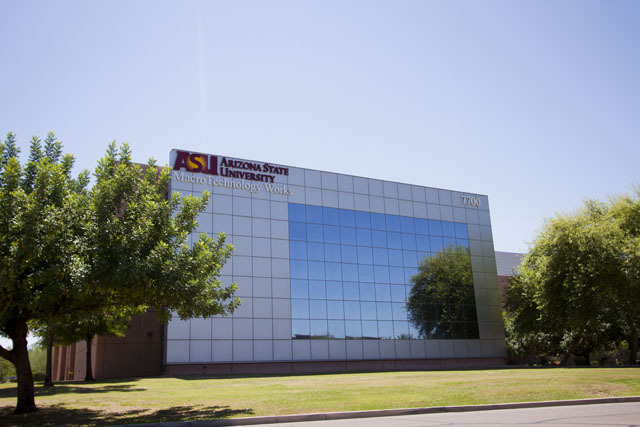 Macrotechnology Works, a world-class research facility in ASU’s Research Park, brings market input and business process into the academic laboratory. 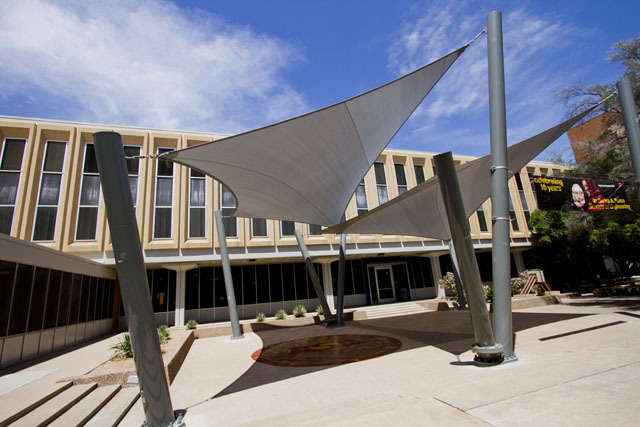 MTW houses research programs in flexible electronics and flexible systems, solar energy and photovoltaics, and related collaborative research between the federal government, ASU and industry. 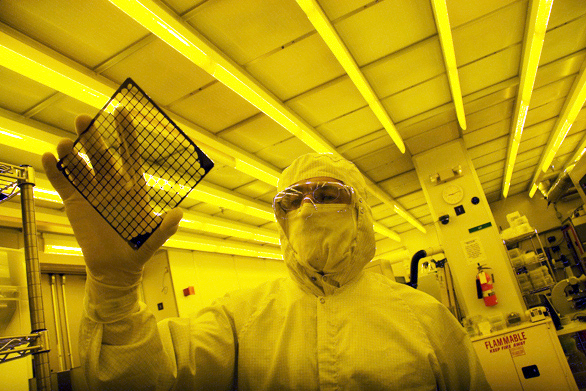 The facility boasts a 40,000 square-foot clean room. 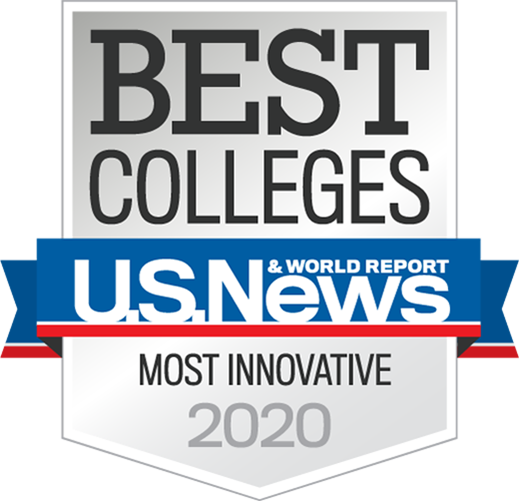 Urban Systems Engineering houses administrative and faculty offices as well as classrooms and labs for construction management, aerospace engineering and mechanical engineering degree programs..
Strategic and administrative support for research endeavors with particular emphasis on our research themes.